The road to Taman Negara was long and winding. George and I cosied up to read Harry Potter and the Prisoner of Azkaban, interrupted occasionally by Nick’s shushing as I got louder in the exciting parts. Outside the window were scenes of destruction. Vast areas of rainforest decimated for palm oil production and lorries carrying huge logs passed us on the road. Malaysia has the highest rate of deforestation in the World. 14.4% of its rainforest cover has gone since 2000, thats an area larger than Denmark. We all know the theory of deforestation but seeing it for ourselves was truly upsetting. We found a comfortable hut in Kuala Tahan across the river from the park entrance. It had two sets of bunkbeds which turned out to be 50% more beds than we needed as the kids still wanted to sleep with us. After a good night’s sleep (no, really) and a delicious roti breakfast we stocked up on drinking water and headed to the jungle. Nick’s insistence on singing a certain Guns and Roses song anytime someone said jungle got old quickly as we walked along a boardwalk through the rainforest. 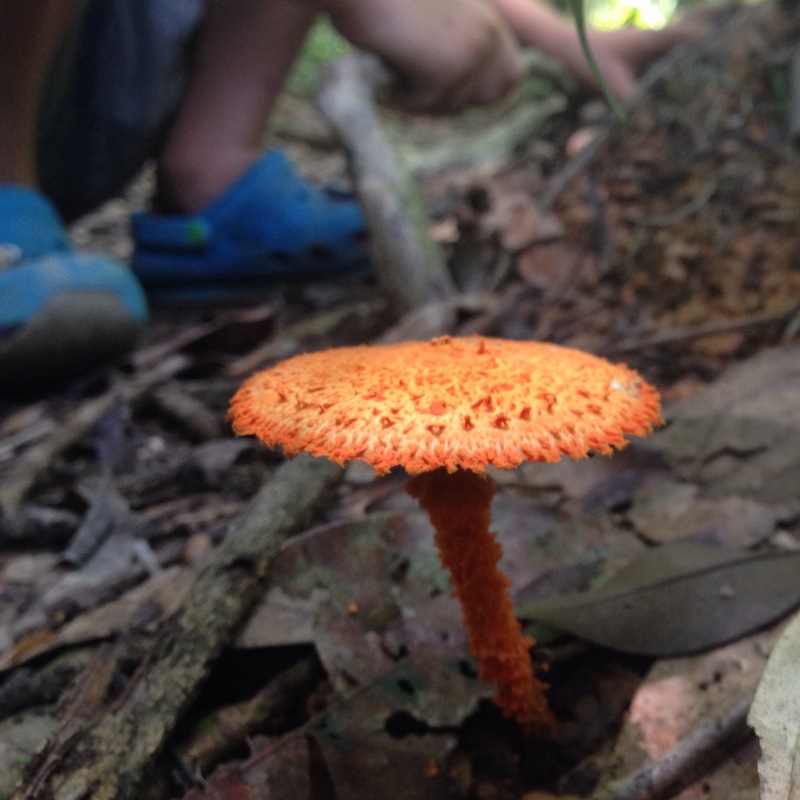 We noticed interesting leaves and insects as we pootled along at Tom’s pace. That is until we met some people walking in the opposite direction who informed us that the canopy walkway closed at midday. It was 11.40am and we had a mile to go. We chucked Tom in the sling and legged it, getting there just in time. Our lack of planning worked in our favour as we had it to ourselves and got to enjoy being up in the treetops without anyone else around. We had planned a circular trail that would take in Bukit Teresik look out point. However, the heat and humidity along with George’s complaints got the better of us and we followed the trail downhill instead of up. We marvelled at the huge trees and tried to guess how long they took to grow, parts of the forest here date back 130 million years. I felt humbled and saddened again at the rate of receding rainforest. 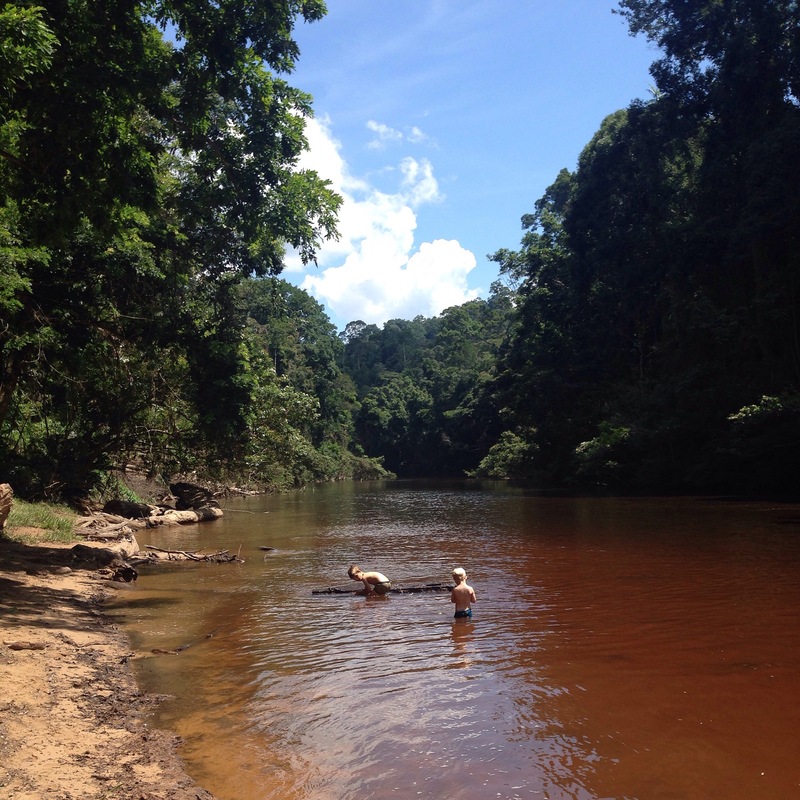 The trail lead us to Lubok Simpon where we stripped to our underwear and took a cooling swim in the river. 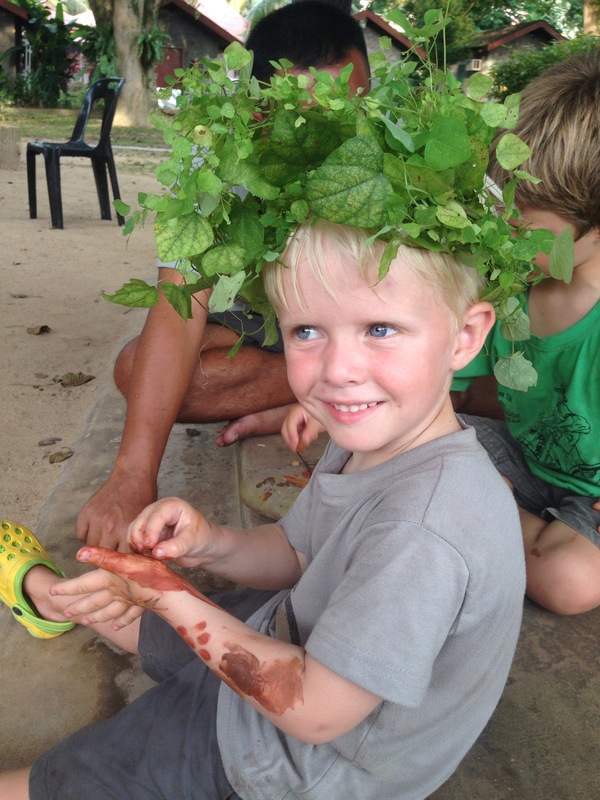 We had confirmed our suspicions that a multi-day trek sleeping in the jungle would be too much for us. We made the most of having good wifi and booked our accommodation for the coming weeks. Whilst we were otherwise engaged the boys made friends. They went on a scooter ride round the village and learnt about some indigenous crafts. As we wandered down to the jetty, that evening for our night walk in the jungle, a man tried to scare Tom with his deformed hands. He was accustomed to children running away in fear but his party trick didn’t work on Tom. He held the man’s hands, looked at them intently and asked what had happened. The man was shocked by Tom’s reaction but it made sense to me. During our travels we have seen many people with missing limbs and deformities so the boys have learned that there is no reason to be scared because a person looks different. The night walk was far from intrepid. We joined the throng of tourists and were separated into groups. In conveyor belt fashion we followed a trail just inside the jungle, where at various points our guide would point out insects and give a commentary. Our guide didn’t teach us anything we didn’t know already, thanks to our very interested-in-nature 5 year old, was unable to identify a spider I found on a tree and he didn’t even have a UV torch (everyone knows you need one of those for scorpion hunting – right?!). But we did see a snake and a scorpion so it was a good creature count for George and that is good enough for me. The driver was going way too fast on the bumpy road on the way to Cameron Highlands. Tomas announced he felt sick and whilst we were busy focusing on him George puked. Happily, with 4 hours to go, it just smelt of the chocolate roti he had eaten for breakfast. We got the minivan to stop did a quick clothes change and got back on the road, having asked the driver to slow down. We have gotten off lightly, this was our first incidence of travel sickness in 10 months. The boys have coped with the crazy driving in India, Nepal and Vietnam so it goes to show how fast this guy was going. As we were stopped to change a tyre the driver shouted that we would need to sit on the puked on seat as another passenger was getting on. We said fine but asked for something to cover the wet patch. During the exchange the driver was using a very loud voice which did not sit well with Nick. He asked the driver to stop shouting. The driver didn’t seem to understand. To which Nick shouted “THIS IS SHOUTING” needless to say this did not go down well and I hastily tried to placate the driver whilst inwardly cursing Nick’s unique brand of how to make friends and influence people. 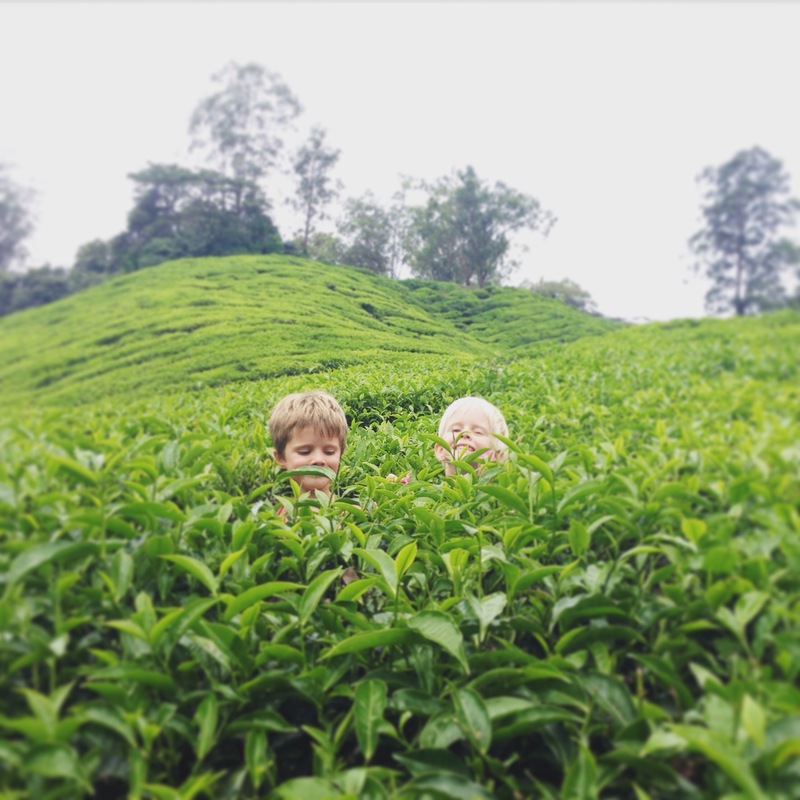 We spent a very relaxed few days in Brinchang in the Cameron Highlands. The area is renowned for tea, vegetables and hiking trails. Sadly George had a bad blister so that ruled out the hiking. Instead we drank tea and ate vegetables. 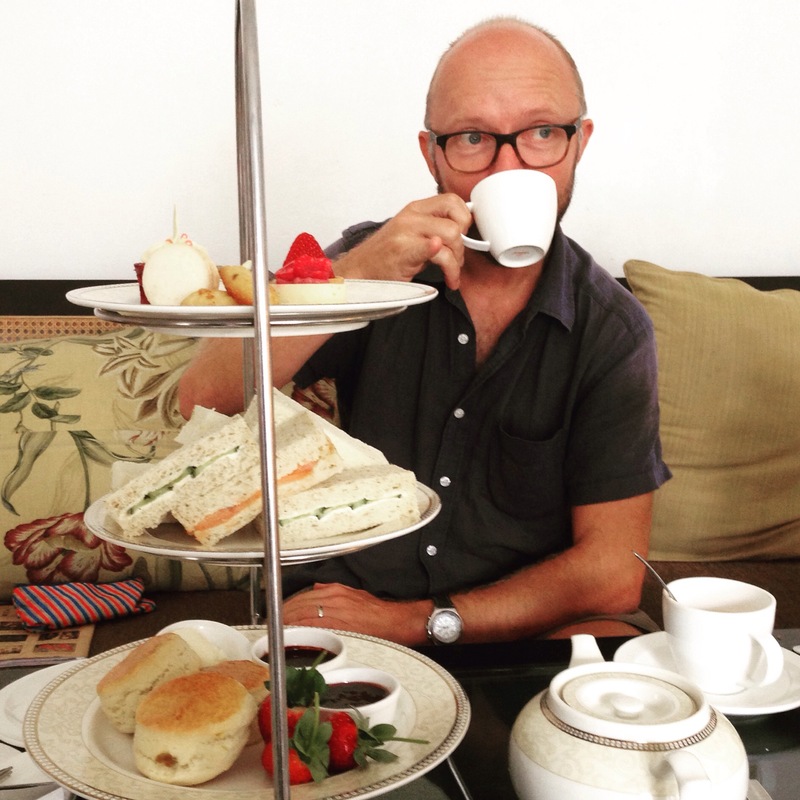 We visited a tea estate and celebrated Nick’s birthday with a delicious afternoon tea. Nick and I took advantage of the cooler climate to stretch our legs with a run round a nearby golf course. And the children enjoyed having a TV in our room, especially because the only channel it picked up showed back to back Pixar movies. And so to Kuala Lumpur. City of skyscrapers, mega malls and amazing street food. This is our third time here on this trip albeit the first time we have seen the outside of the airport. We’ll be seeing the sites in between plenty of rest before Nick heads to Borneo with the boys whilst I pop back to England briefly for a family wedding. George and Tomas now have their very own UV torch to hunt for scorpions in the jungles of Borneo. What could possible go wrong? Good post. My eldest is a HUGE Potter fan and has read them all through more times than I can count. So as a result we have all had to get into it. (Truthfully my hubby and I are in the Lord of the Rings set but…) Harry is a bit of fun, isn’t he? 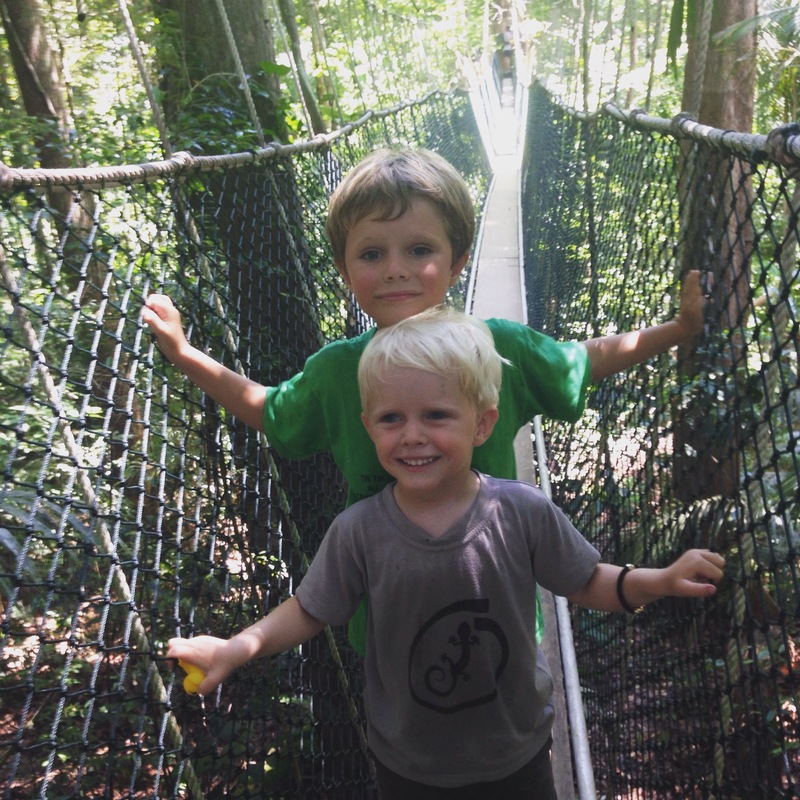 Borneo was our first overseas trip together – pre kids. Isn’t it amazing! 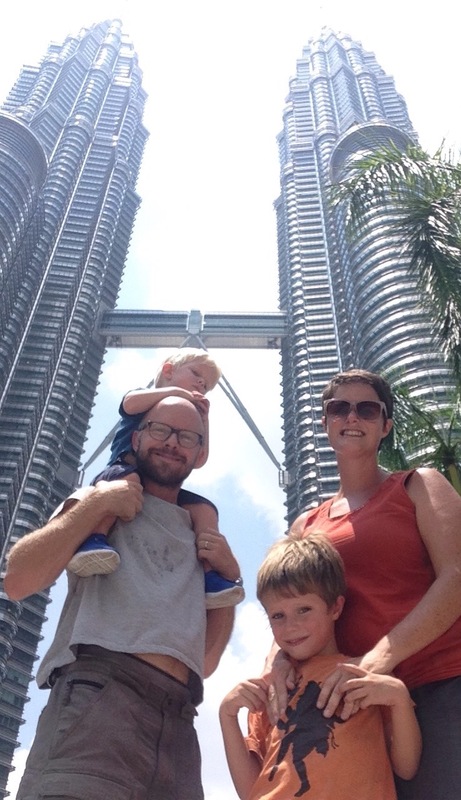 Still on our list to visit Taman Negra but yes fond memories of the Cameron Highlands and the Petronas Towers.